eBay won't just boost up your confidence but safeguards you from unscrupulous buyers too. EBay wants its sellers to sell with confidence and understand the best practices to follow while addressing problems that sprout up sometimes, is an important step to becoming a successful and informed seller. 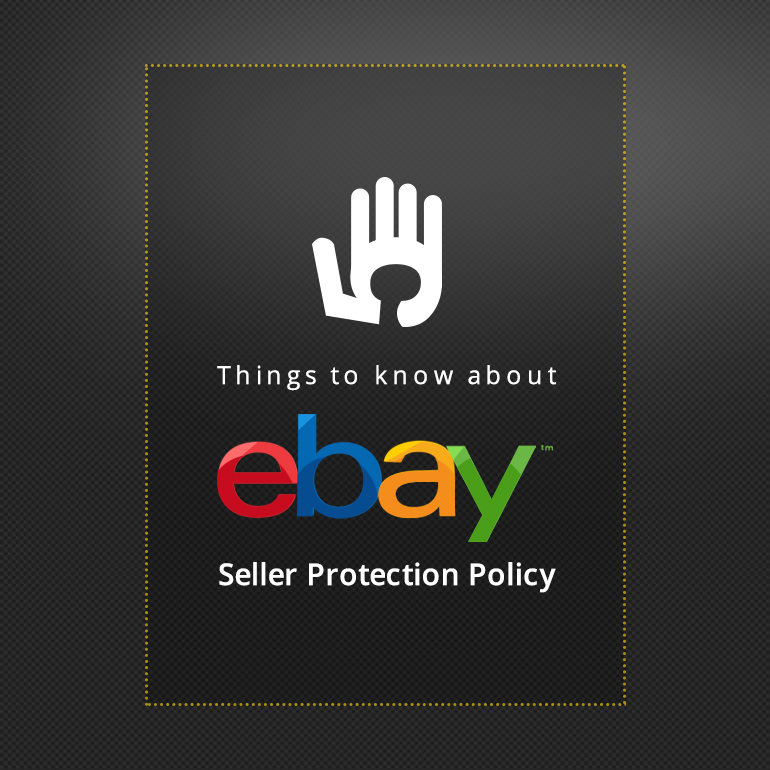 Seller protection is a free service provided by eBay to its members, where the sellers can be protected from unauthorized payments and item not received. In these cases the seller protection policy acts as a safeguard for claims, chargeback or reversals opened for the given reasons.Sellers are advised to follow the best practices in order to help them avoid transaction problems. Giving out a clear and correct message to your buyer about when the item will reach them, keep the buyers updated about the status of their purchase. Giving them the tracking information, you can also specify your shipping services. An estimated delivery time is shown by all shipping companies and they calculate the time by adding up handling time and carrier posted delivery time for that particular shipping company. Also, the seller should mention the shipping cost clearly. Sticking to the commitment is another factor, if you have promised your buyers a specific duration for handling time make sure you can meet it, also mention all your shipping policies in the listing. Using signature confirmation on orders of $750 or more. The most important of all practices is clearly describing the item, state in clear words regarding its condition.Describe if there is any flaw like scratches, cracks, and fading, use multiple pictures and the picture of the flaws, use original pictures and do not misguide the buyer. make sure you offer generous return policies, pay for shipping on returns. You can even wave restocking fees, wait for the item to be returned before refunding the amount and alert eBay about any misuse of the process. Make the payment easy for the buyers to avoid unpaid items. Help buyers by answering their questions as buyers will usually have questions to ask before during and after the sale, a prompt response will go a long way and help you sell more to that particular buyer by letting him know you will be there for any of his queries. First, the seller has to review the buying practices policy to make sure that the buyer is actually breaking the rules. Once this is confirmed, you should report the buyer. What will eBay defend its seller from? eBay has detection methodologies that identify and restrict buyers who frequently break buying policies like not paying for items or show a tendency to leave continuous unwarranted feedbacks, maligning an innocent seller. eBay provides facilities like, seller dashboards, unpaid item assistant, resolution center, which can be used by all the sellers in order to resolve the issues they face. After the reviewing the buying practices policies, if the seller feels that any of his buyers is violating them, in this case, the seller can report such buyers. While eBay policies might give a better end of a bargain to the buyers, eBay has policies in place to defend its sellers too, they need to know that they are protected and shouldn’t be afraid to ask eBay for help to deal with an abusive buyer.